Hawaii is definitely a wonderful place, due to its exotic beauty, weather conditions, and carefree lifestyle. Many people visit this state from all over the world. However, this may not be for everyone in need of a different lifestyle, or if they have found a new job opportunity. If you have children in school, making sure you check school ratings in the area can be very important. You can find school ratings online and can then make a decision accordingly. Apply for admission beforehand to ensure all the formalities have been completed prior to moving from Hawaii to Oregon. Weather conditions in Oregon are different than Hawaii. During the rainy season, the weather tends to be colder. This is one factor you need to consider before moving here so that you can pack your belongings accordingly. 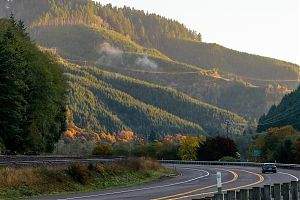 The key is to select the ideal time to relocate to Oregon when the weather is favorable. Heavy rains can make the already difficult relocation process even more stressful. A move like this to Oregon or any other mainland state can get overwhelming. This is why selecting the right moving company can help you to complete the whole process without all of the hassle. This is why you need to hire Honolulu Movers if you are moving from Hawaii to Oregon. We specialize in interstate moving. The movers we have hired are committed to excellent service, from start to finish. They have years of experience in managing long-distance moving jobs. Therefore, you can completely rely on us for a smooth, hassle-free moving experience. We guarantee no loss of goods, or damage to your valuable belongings. A proper moving plan will be drafted by our experts based on your requirements. Our services are available on economical rates as well. You will not have to break your budget to utilize our services. Want more information or have any questions? Feel free to get in touch with us. 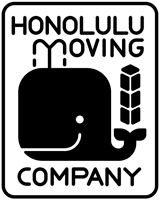 You can send us an email at honolulumovers@gmail.com or call us on 808-206-9817.